The new cars we are buying now are emitting higher levels of C02 than two years ago, a study claims. It says the upturn in emissions could be due to a big increase in the number of larger SUVs being bought – as opposed to the volumes of smaller saloons we used to buy. The study describes the increases as a “worrying development for the Government”. The investigation into CO2 emissions was carried out by vehicle history and data expert Cartell.ie. They looked at the level of emissions in the private transport sector for last year. At that stage we reportedly faced a significant fine next year for a “serious rise in Irish greenhouse gas emissions”. Blame had been partly attributed to the transport sector where emissions had gone up by 3.7pc in 2016. They describe as “more concerning” the fact that the trend is upwards with the readings for the first two months of 2019 already reaching 115g/km. John Byrne, of Cartell.ie, says they were looking “exclusively at new cars sold in Ireland” so there could be no arguments about imported vehicles. He says the reason for the increase may simply be that buying trends are towards larger SUV-type vehicles. Other contributing factors, I think, could be the swing from diesel to petrol. 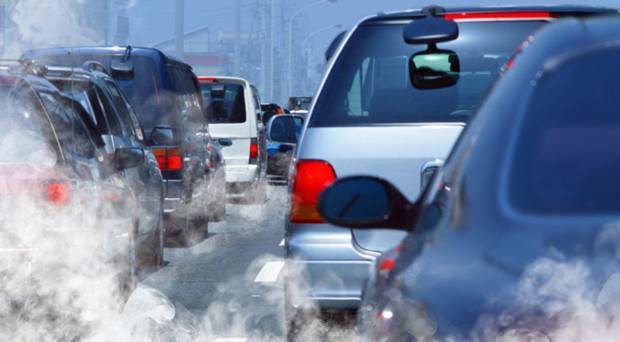 Diesels spit out lower levels of CO2 than petrol vehicles. Tougher new real-world tests are in many cases returning higher CO2 values too ,so maybe we are just getting a more realistic picture of what is happening. The findings are published as global analysts forecast that automakers could be hit with billions of euro in fines for missing EU fleet CO2 emissions targets that kick in next year. Their predictions follow CO2 rises reaching their highest levels since 2014. They estimate the penalties could run to €34bn. According to JATO Dynamics, based on last year’s data, the Volkswagen and PSA groups could lose half their combined net profits. The fines amount to €95 for every gramme of CO2 over the limit. That is multiplied by the number of cars sold in 2020 and 2021. The fleet CO2 target is 95g/km.